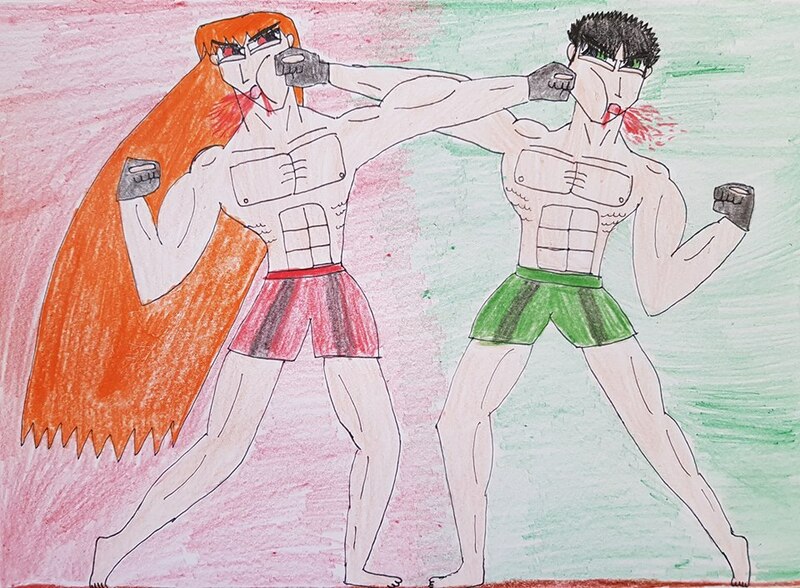 Here we have our two favorite hotheads, Brick and Butch, doing what they do best, having a heated Mixed Martial Arts beatdown! 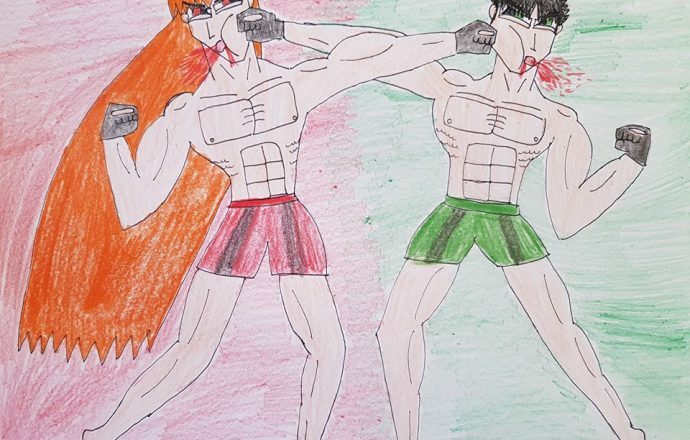 All right, ladies and gentlemen, in the red corner weighing 185 lbs., standing at 6 feet tall and made of pure muscle is the Lord High Bludgeoner himself, Brick Green! In the green corner weighing 190 lbs., also standing at 6 feet tall, and also made of pure muscle is the Baron of Brawn himself, Butch Green! Folks, this is going to be a long match, as we’re gonna see how long these two brawling brothers are gonna last! I get the feeling that it’s going to be for a long time. Now without further ado, LET’S GET READY TO RUMBLE!!!! Brick and Butch of The Rowdyruff Boys from The Powerpuff Girls belong to Craig McCracken and Cartoon Network.